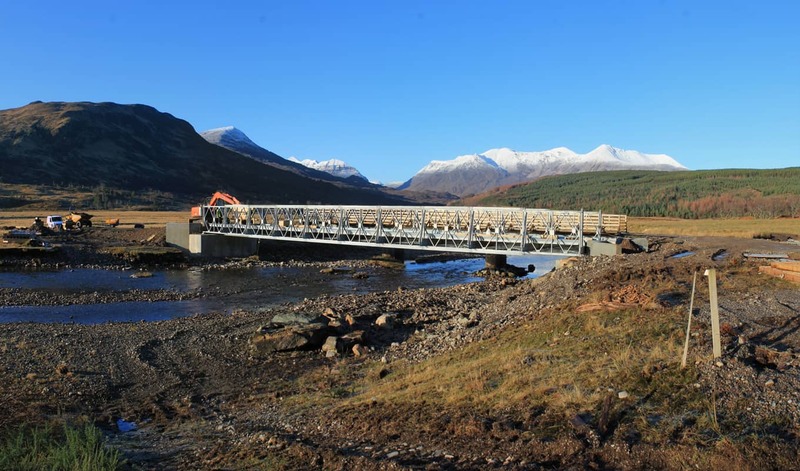 As part of the construction of a new 6km, 40t forestry haulage road (and access for a hydro scheme) a large span bridge was required to be replaced across the River Coulin in Scotland. 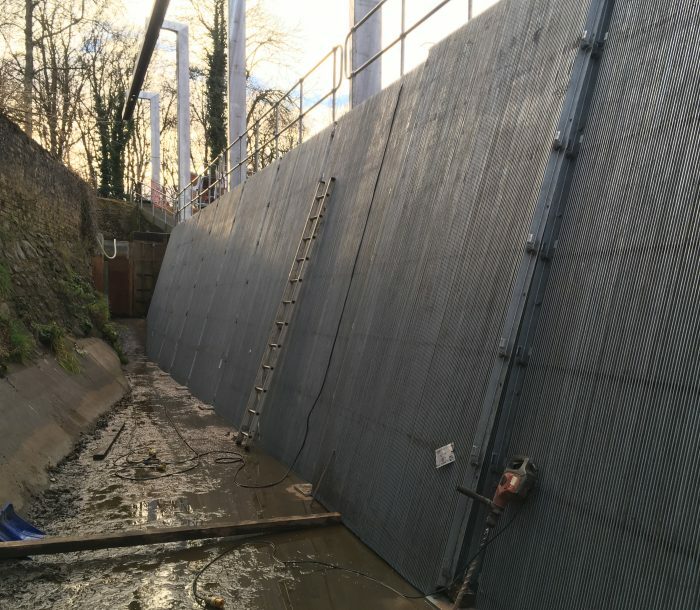 The current bridge was not able to handle the required traffic load requirements and the existing middle support was in a state of near collapse. 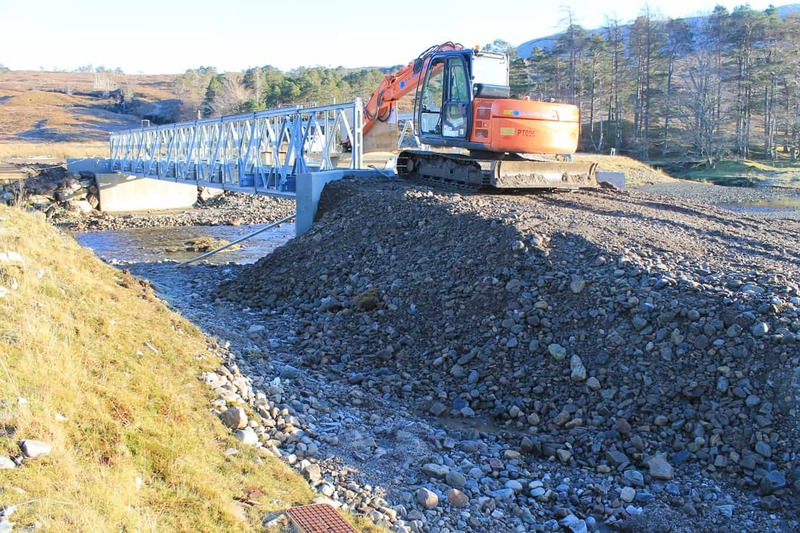 Our design team were tasked with inspecting the existing bridge and proposing the most cost-effective and quickest way to allow the construction traffic over the river to commence the construction of the hydro scheme. After the site inspection, it was determined that the current bridge was not capable of withstanding the required load. Due to the length of the bridge, two options were proposed. A standard road bridge made of steel beams and timber decking with a concrete pier in the middle of the river or a Mabey Compact bridge compromising of longitudinal trusses formed of prefabricated modular steel panels with pinned end connections and transverse cross girders. After comparing the price and time of construction, the Mabey bridge option was chosen. 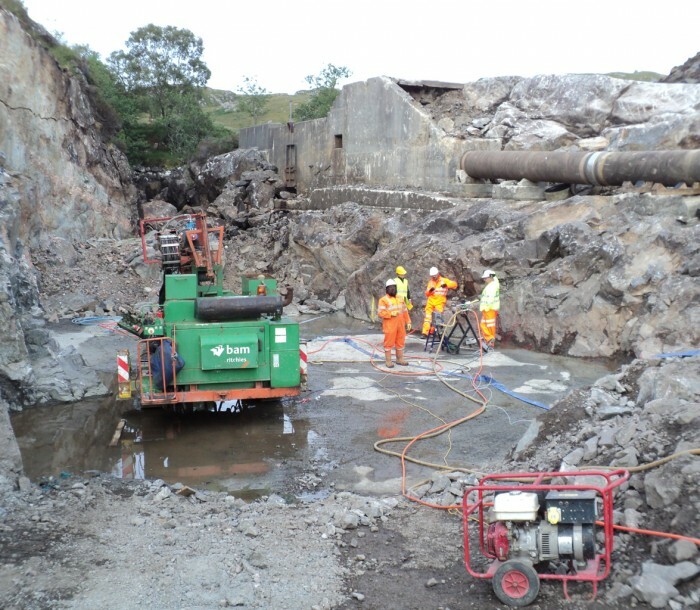 This was mainly due to the speed of erection and avoidance of any works within the river, which contained spawning gravels for fish. 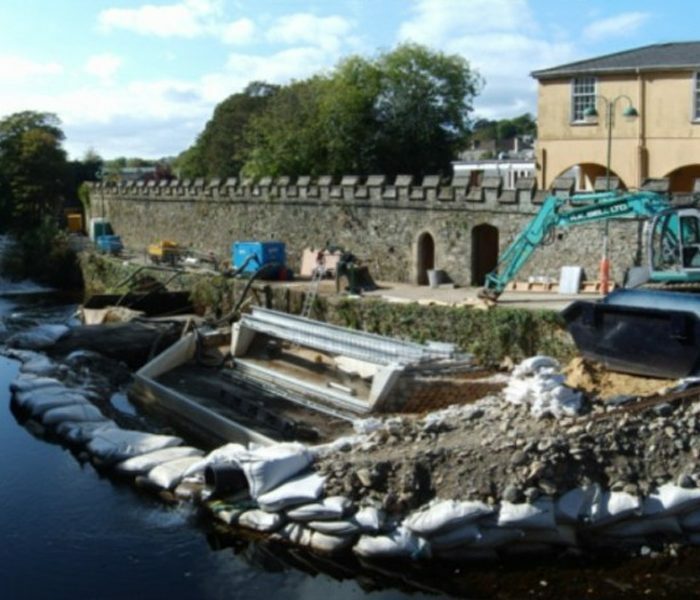 Once the concrete abutments were constructed on either side of the river, the main bridge structure was launched and erected from the right bank, and within a day the two river banks were connected representing a great time-saving. The old bridge was completely dismantled.